In this volume acclaimed scholar-monk Bhikku Bodhi has collected and translated the Buddha's teachings on conflict resolution, interpersonal and social problem-solving, and the forging of harmonious relationships. In times of social conflict, intolerance, and war, the Buddha's approach to creating and sustaining peace takes on a new and urgent significance. Even readers unacquainted with Buddhism will appreciate these ancient teachings, always clear, practical, undogmatic, and so contemporary in flavor. 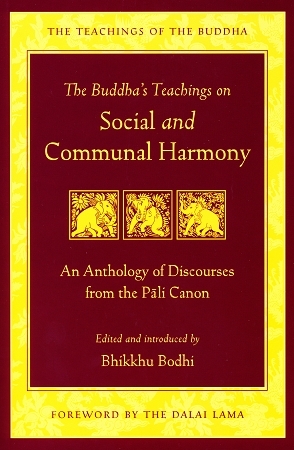 The chapters deal with such topics as the quelling of anger, good friendship, intentional communities, the settlement of disputes, and the establishing of an equitable society. Each chapter begins with a concise and informative introduction by the translator that guides us toward a deeper understanding of the texts that follow.